Happy Easter everyone! I hope the Easter Bunny was good to you! 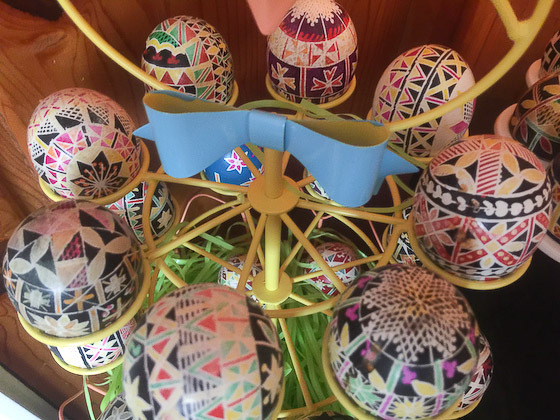 Please enjoy my totally inadequate phone pic of some very pretty pysanky Easter eggs. Kudos to their artistic creator who makes new lovelies every year.